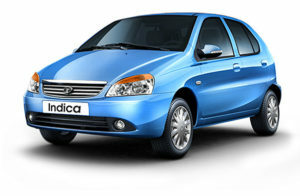 The Indica has two diesel engines, petrol and also a LPG version of the petrol motor. The 1.2-litre petrol develops 65PS@5200 rpm with a peak torque of 100Nm@2600rpm. 100kmph is reached in under 17seconds with a top speed of 155kmph and an ARAI claimed fuel efficiency of 16.54kmpl. Despite the mediocre performance the engine feels strong enough on the highway and with decent drivability in urban conditions. Mid range power delivery is good but the engine starts to show its weakness over 4000rpm.